This book was voted as my book club's January read, so I picked it up without knowing anything about it - aside from a glimpse at the synopsis and the short story prequel I picked up over Christmas to get me started. It pissed me off. A lot. I ranted about it to whomever would listen while I read it... and even those who would have preferred another subject. I had absolutely no idea the amount of emotions I would experience while reading this book. There was no way I could have prepared myself. So many times I either wanted to scream at or punch someone in the story. There was even a time where I had to put it down and just pass out, because I was so distraught. But that's not why I enjoyed it so much. It made me think. It made me talk to other people about the topics it revolved around. It opened my eyes and did so in a story that was told in such a captivating way. I will admit it was hard for me to read, and many times I had to close it and walk away so I could have a breather, but I am so thankful that I read this book. It truly is a great book. 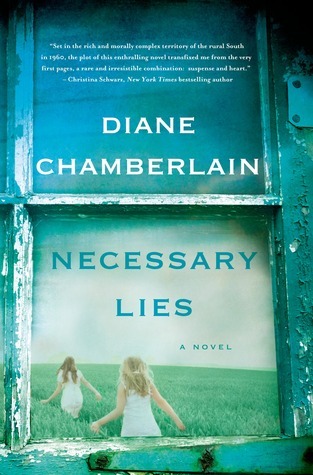 Sign into Goodreads to see if any of your friends have read Necessary Lies.